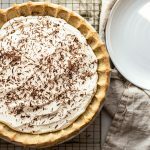 My Best Ever Chocolate Silk Cream Pie is decadent, rich and chocolatey. 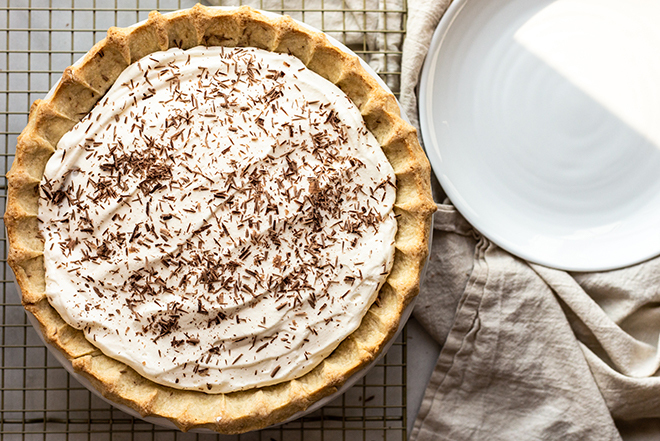 The filling is made with coconut milk, and there’s a dairy-free option for the whole pie. Let me tell ya ’bout my bessssst friiiieeeeennnnddd. 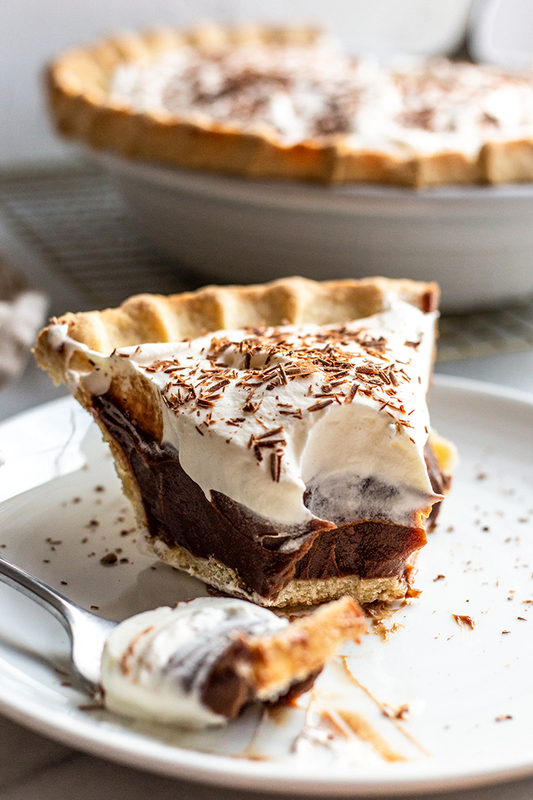 This pie. 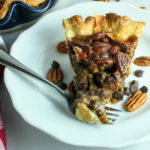 , decadent, silky, and it’s everything a good dessert should be. 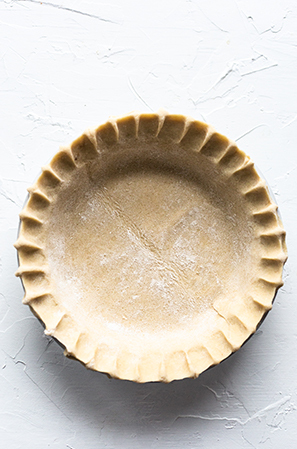 Use my pie dough recipe and pre-bake it. My recipe makes enough for 2 crusts, so save the rest for later. You can even wrap the extra, put it in a bag and freeze for like 3 months. Promise. Here’s how I roll it out and weigh it down when it bakes. 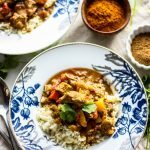 The filling is made in a saucepan and it’s really easy that way. 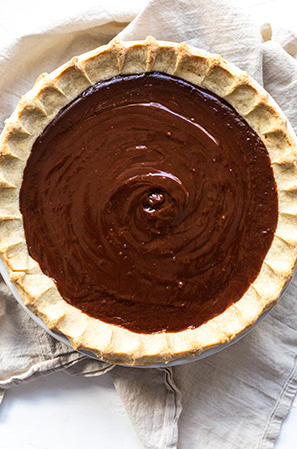 Pour it in the pie shell once that is cool. And then when the whole pie is cool, whip that cream baybay. Look at that cream. 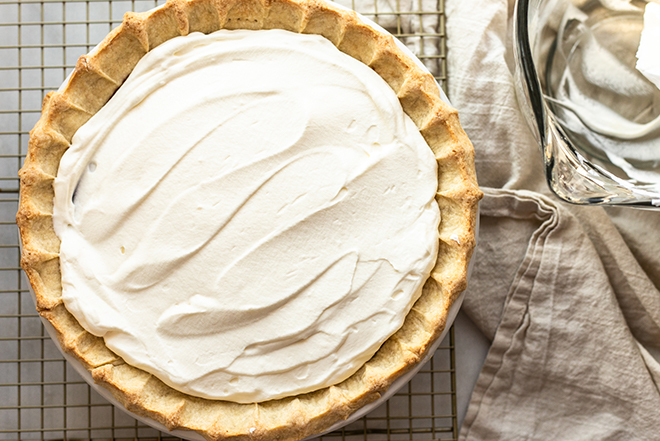 You can totally use coconut cream, too. 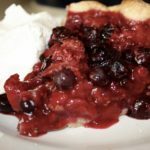 If you’re making my pie crust, follow the recipe and instructions exactly. After rolling it out, place in a pie dish and pinch the edges. Preheat the oven to 375 F and chill the pie dish for 20 minutes before baking. Pierce the pie dough with a fork to let air release. Then, lay a piece of parchment over the raw crust. 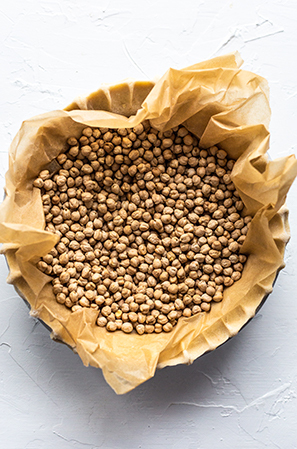 Fill the pie dish with beans, rice or pie weights so it doesn’t curl up in the oven. Bake in the preheated oven for 18 minutes. Remove the weights and parchment and return to the oven for 5-10 minutes, or until the pie is golden brown. Cool completely before making the filling. To make the filling, combine the sugar, arrowroot powder, coconut milk, and egg yolks in a medium saucepan (do not place on the stove yet). Whisk together well. Place the saucepan over medium heat for about 5-8 minutes, just until the mixture reaches a boil, stirring frequently. Remove from the heat and stir in the chocolate, 2 teaspoons of the vanilla, instant coffee, sea salt, cinnamon, chili powder, and butter. 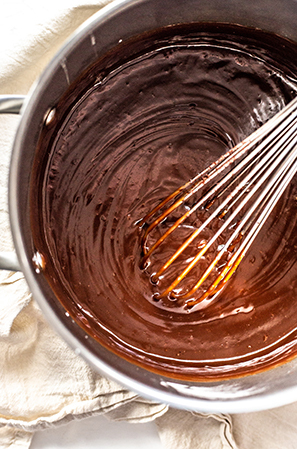 Whisk together until silky. Pour the custard into the cooled and baked pie shell. 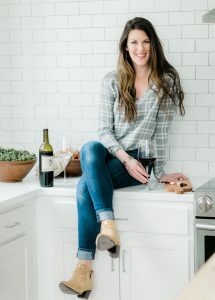 Let it cool to room temperature on the counter, and then refrigerate for at least 2 hours until set and cold. 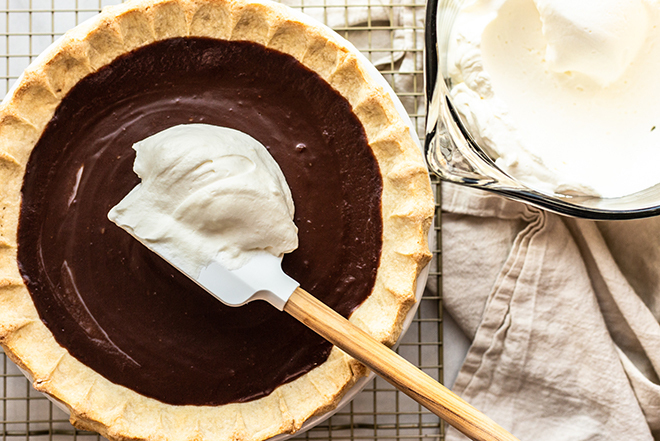 With a standing or hand mixer, whip the heavy cream until soft peaks form. Add the powdered sugar and the remaining vanilla and whip until medium-stiff peaks form. 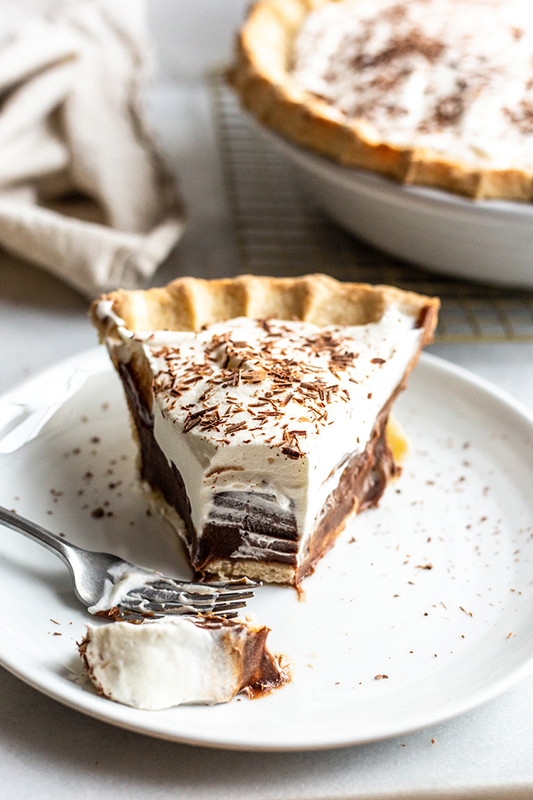 Spread the whipped cream over the top of the cooled chocolate custard and top with chocolate shavings, if desired. 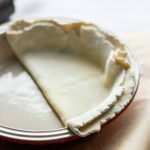 Use cold coconut oil or cold ghee in place of butter in my pie crust for a dairy-free version. my pie crust makes enough for 2 pies or a covered pie. Either half the recipe, or save the other half for later. 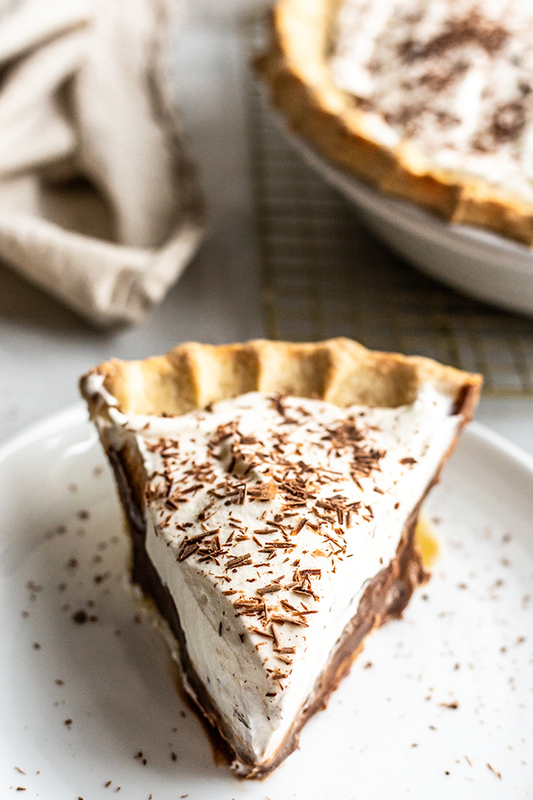 Sub the heavy whipping cream for coconut cream (found on the top of full-fat coconut milk) for dairy-free whipped topping.